Home > Leadership to the Extreme – with Love! 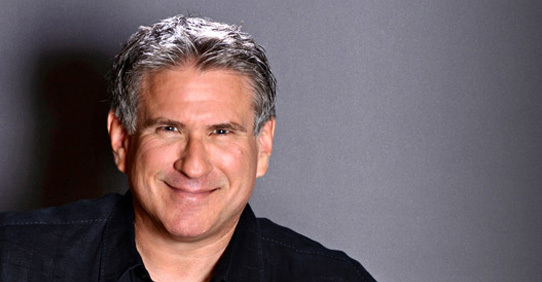 Cheryl Esposito welcomes Steve Farber, president Extreme Leadership, founder The Extreme Leadership Institute, & best-selling author of Greater Than Yourself: The Ultimate Lesson In Leadership and The Radical Leap: A Personal Lesson in Extreme Leadership. Steve Farber had to make a change. His successful Wall Street business was killing him – physically & emotionally. Fast-forward to today with his successful business advising leaders on Wall Street & elsewhere, you meet a happy, energetic, & passionate man, loving life. Steve figured out that aligning his values with his work would feed his spirit; that loving what he does and how he does it, would pay dividends – personally and in building a successful business. And it has. Love in leadership is not all hearts & flowers. Everyday, leaders make moves to change things for the better, empower their people, and put themselves on the line. The outcome may be success or failure. Leaders can fear that and not take action, or they can understand that the experience of fear is a reality in business. Steve says experiencing that fear would not be worth it without the love of the game.Easier said than done? You be the judge.